The final recommendation from the Great Movies – 100 Years of Film book for my screening of The Last Tango in Paris is actually more than worthy of its own entry in the book, and should have been highlighted as one of the main titles. This is one for every film lover, it’s an ode to the cinema, a love letter to movie theatres, and a remembrance of childhood. When successful filmmaker, Salvatore (Jacques Perrin) receives a phone call from his mother (Pupella Maggio) about the death of his dear friend, Alfredo (Philippe Noiret), the flashbacks begin, as we are taken back to Salvatore’s youth, and the blossoming of his love of film, cinema, and theatres through his friendship with the tiny Sicilian town’s projectionist. 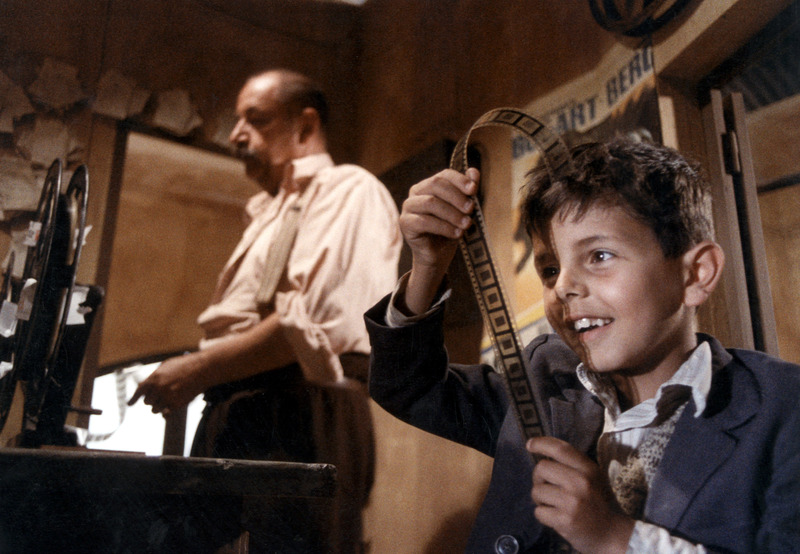 As a young boy, Salvatore, or Toto (Salvatore Cascio) as he is known, is rambunctious, and completely taken with the idea of moving pictures, pestering Alfredo endlessly for snipped frames, and watching films over and over again in the town church, which also serves as its movie theatre. A choice that surely isn’t coincidental (and probably happened in real life in countless towns). A movie house, much like a church, can provide some of the most amazing emotions and experiences, the images shoot forth as a shaft of light from a lion’s head, tying in with the primal connection these places and images can evoke. We follow the boy through his impudent youth, longing for his father to return from the war, while his mother (Antonella Attili) struggles to keep the boy in line, while raising he and his baby sister as best as possible, tolerating his love of film, when it doesn’t jeopardise the family’s existence. 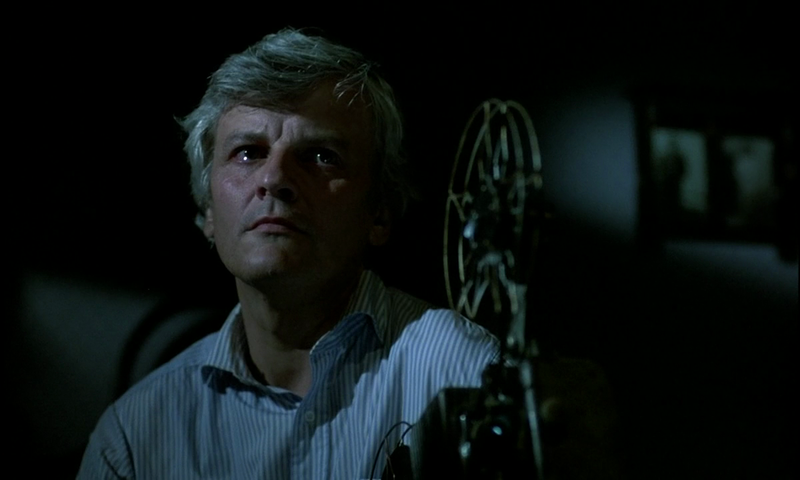 As Toto’s love of film grows, Alfredo suffers a terrifying accident, causing the now young man (Marco Leonardi) to assume some of his duties as projectionist for the town, while beginning to toy with making his own films, and falling for the lovely Elena (Agnese Nano)… a love story that is executed wonderfully and as a perfect homage to the movies. With a perfect ending, it should come as no surprise that this took the Oscar for Best Foreign Film at the 1989 Academy Awards. It balanced a love of film, with the impertinence and exploration of youth, the stirrings and pains of first love, and the loss of those important to you, things film has done for us since its beginning, and Tornatore does it brilliantly.